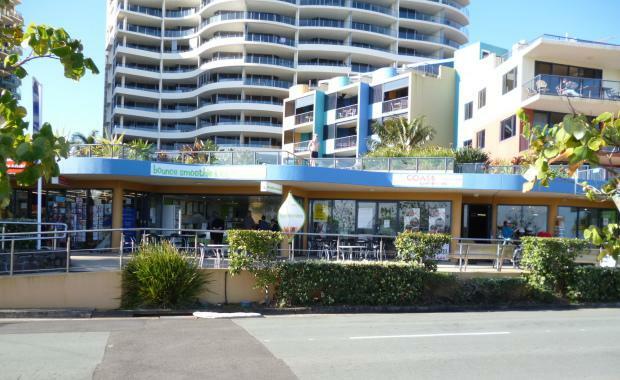 Seven strata-titled tenanted retail properties on the waterfront at Caloundra on the Sunshine Coast have been sold by Len Greedy and Alan Gray from Ray White Commercial Caloundra for $4.065 million. The properties located at the Grand Pacific Resort, 38 Esplanade Bulcock Beach, Caloundra (pictured), ranged in price from $352,000 to $1.1 million and were offered to the market for the first time. “These strata-titled properties were drip fed to the market over a period of time with five lots being sold to investors and the remaining two sales negotiated with existing tenants,” Mr Greedy said. “This was the first time the properties were marketed for sale and had all been held by the previous owners for more than a decade. “All the purchasers were from Queensland with two from Brisbane, one each from Noosa, Gold Coast and a local from the Caloundra area.